I’m tipping my hat to Google today. They deserve it. As do all those who stand up to oppression. I’m sure that there will be loads of posts about this today. And, that isn’t a bad thing at all. If anything, more agencies should be voicing their concern and dismay at an incredibly bad policy with very real consequences. In case you’ve been living under a rock, Russia enacted a law in June last year which essentially makes life incredibly difficult for its country’s LGBTI citizens and residents. (I’ve already written at length about my own thoughts on this elsewhere.) There has been loads of coverage about this insane law given that the Winter Olympics in Sochi are starting this week. Most of that coverage is focused on what it means for those who will be competing and spectating, with far less devoted to how it affects LGBTI community. There has been plenty of outrage voiced from various countries and ‘VIPs’, but not nearly enough and certainly nothing on an organised, large scale. And, far, far too little action, IMHO. A few days ago, United Nations Secretary-General Ban Ki-moon called on participants to promote equality and non-discrimination during the games (I’d say, why not extend this to the host country, but…nevermind). 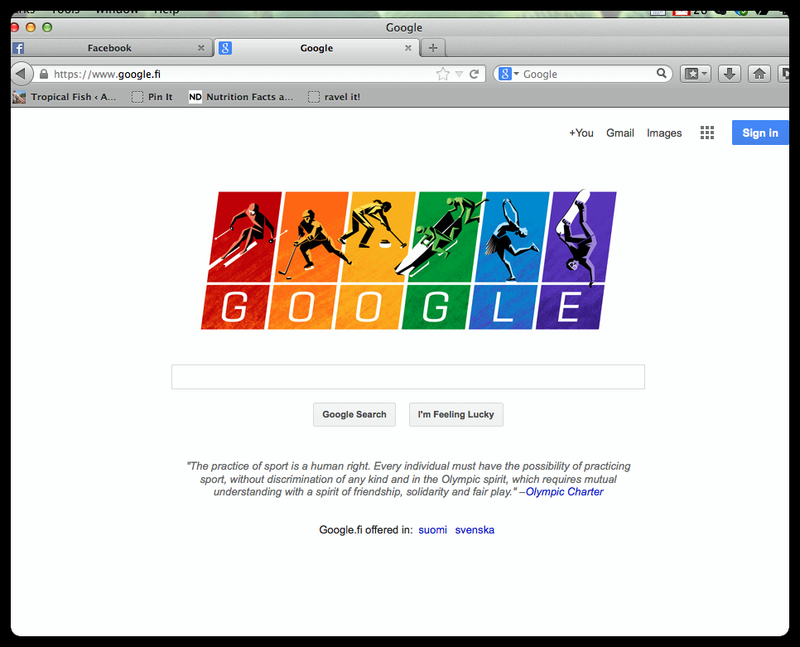 And, today, the Google Doodle makes a statement loud and clear. I like these statements and I applaud them. Yet, the (most expensive) Olympics are continuing. Violence against LGBTI in Russia goes on unchecked.